Spaghetti and Meatballs! | Let's Eat! My friend Mike Shanks tried the recipe for meatballs and sauce and sent me this pic! Nice job Mike! Hope Traci enjoyed it! 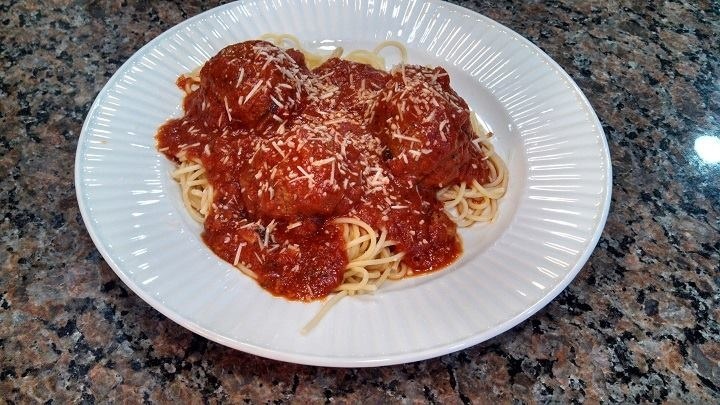 I loved yourMike Shanks Ciambotti Meatball Pasta – one word to describe – DELICIOUS!! This will be the basis for all my future pasta sauces comment on facebook! This entry was posted in Guest bloggers!. Bookmark the permalink. Traci LOVED it – was a fabulous recipe and one we’ll use again and again!